With the purchase of a single domain name and a virtual hosting reseller account, InterServer was co-founded in 1999 by two ambitious, tech-savvy high-school students by the names of Mike Lavrik & John Quaglieri. They shared a dream of offering data services at affordable prices, while still maintaining a high level of service and support. Their vision led to the formation of a solid partnership and the beginning of InterServer. Now in 2017, InterServer owns and operates two datacenters located in Secaucus, NJ and one in Los Angeles, CA. InterServer provides services, such as virtual hosting, cloud VPS, quick servers, dedicated servers and colocation. Now, 18 years later, one thing remains the same - InterServer's mission to provide quality service at affordable rates to all of their customers worldwide. John, Mike and the entire InterServer team are truly committed to ensuring that each and every customer is given superior & expedited service 24/7. Their technology is really what sets up apart within the industry. They have their own data center, they build their own servers, developed their own nationwide fiber network and even build their own custom Linux kernels. Overall, because they handle each and every aspect of your hosting experience, it truly makes them the ultimate one stop shop! 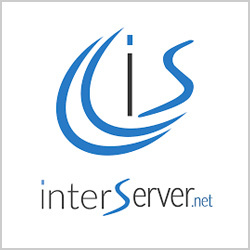 InterServer.net has been providing web hosting services for the past 18 years, their core principles of quality, service, and support have remained the same and their company has evolved its product offering to include Shared Hosting, Cloud Hosting, Quick Servers, and Dedicated Servers along with colocation services to continue to exceed their customer expectations and remain BEST IN CLASS. As a leading web hosting provider, InterServer is able to provide its extensive customer base with innovative products and services designed to complement their existing businesses. They service customers ranging from individual freelancers to Fortune 500 companies, both domestic and international. InterServer takes tremendous pride in commitment to ensure security, reliability, and technical expertise to each individual customer. Powered by a mesh of 10Gbps Ethernet connections and connected to multiple Tier 1 IP backbone providers, InterServer uses only the best routing and switching equipment from Cisco, Extreme Networks and Riverstone for maximum throughput. InterServer utilizes intelligent BGPv4 routing protocol to provide fastest, fail-safe routing. They route traffic to the fastest and closest backbone provider to achieve the best speed with the lowest latency. Along with full automatic redundancy of BGPv4, we maintain N+1 (needed + 1) network upgrade policy to ensure that they always have a spare router and/or connection available for immediate fail-over during unexpected situations. They stand by their network and service through their SLA (Service Level Agreement), so you can trust that you and your customers will receive only the best quality service from InterServer. cPanel provides tools for admins, resellers, and end-user website owners to successfully manage and control their website all through a simple web browser. cPanel works best on a dedicated or virtual private servers that run CentOS, Red Hat Enterprise Linux, FreeBSD, and Cloud Linux. To access cPanel you must simply access it either through ports 2082 or 2083 (SSL-Secured port) webmail is port 2096. When purchasing a web hosting service with InterServer, it would benefit you to also add cPanel to your order to get the most out of your website. You can include it in your shared web hosting, VPS, or dedicated server. The choice to customize your service is all yours; however, cPanel gives you the tools to make better decisions for your website. It is the world's most reliable and popular control panel on the Internet. Interserver.net provides 24/7 E-mail and phone support system to their customers and they are one of the few service providers that offer around-the-clock customer support with live representatives available 24/7. 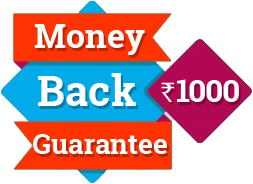 If you are in India and want to use this web provider beware that they do not provide the best Cpanel option and also quality web hosting, and even their server is very slow. Never use Interserver hosting, they are have no professionalism with pathetic support. Better choose an Indian web hosting company. InterServer.net have worst in class features when compared to other best web hosting. They even provide worst Cpanel. And their service is not uptime it is always delayed. I will say that this is the worst web hosting provider. InterServer does not provide a quality web hosting services. They are in of making money than giving more importance to customers. Their hosting speed is also not so fast. Better to host with any of other web hosting service providers.